Schimanski is designed from the ground up to meet event needs for patrons, performers, event producers, and artists. 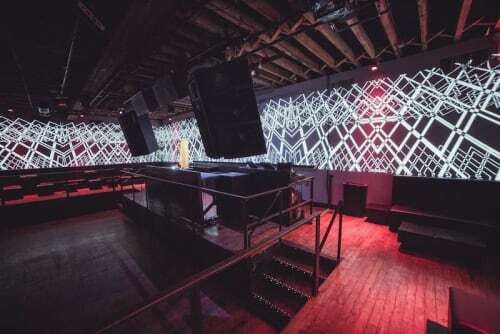 The Brooklyn nightclub features a Main Room with steel accents, low wrap around stage, panoramic video walls, and reclaimed wood flood. The Second Room provides a more intimate atmosphere for private events. Both rooms can be used individually or together with multiple entrances, bathroom, green room, kitchen, and other full-service amenities. Schimanski is ideal for your corporate events, receptions, performance shows, holiday parties, networking events, and much more.